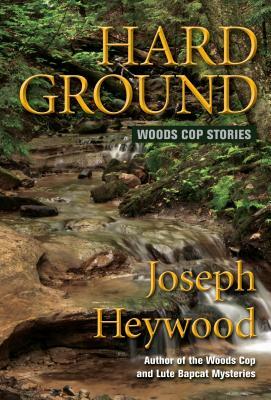 Hard Ground is a treasure chest of stories for lovers of the outdoors, fans of smart crime fiction, and, of course, the legions of Joseph Heywood fans. Featuring the game-warden colleagues of Woods Cop star Grady Service, the tales in this collection follow the men and women patrolling Michigan's wilds as they encounter everything from poachers determined to defend their kills with deadly resistance to drug pushers selling their wares at an Elvis Convention camping retreat. There are search-and-rescue operations, a rookie game warden's first day on the job, and much, much more. With Heywood's trademark ability to capture the eccentric characters of the Upper Peninsula, his wonderful ear for dialogue, and his vivid descriptions of hunting, fishing, and outdoorsmanship, these twenty-plus stories will delight Heywood fans and entice any reader who loves stories about the great outdoors or law-and-order. As an added bonus, one story features Woods Cop protagonist Grady Service early in his career, while another story stars Heywood's new series protagonist Lute Bapcat.